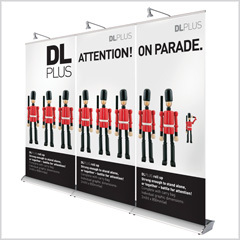 We stock a range of pull-up banners, from the entry level STart through to the DL plus, a premium quality linkable system that allows many banners to be near-seamlessly joined together for a large promotional area. 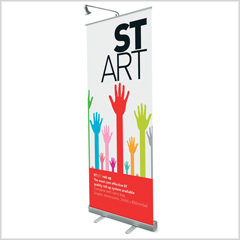 The print is on a high quality, non-tear, stop-light (completely opaque) film for all pull-up stands. 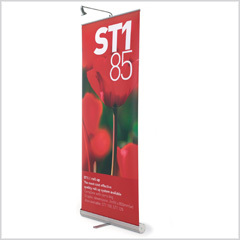 Click on each product below to see further information and specifications for each one.